Have you ever made a New Year’s resolution only to forget about it in a matter of days? 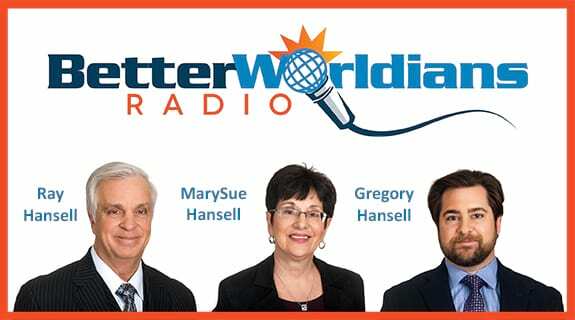 This week on BetterWorldians Radio we’ll talk about how to make resolutions you can really keep. Our guest this week is “The Art of the Fresh Start” author and motivational speaker Glenna Salsbury. Glenna tells listeners the key to success with New Year’s resolutions is really getting to know yourself and what you really want out life. As a professional speaker and consultant, Glenna Salsbury provides keynotes and seminars nationally and internationally. Bubbling with enthusiasm, high energy and humor, Glenna’s topics include leadership, change and quality performance. Her client list is comprised of many Fortune 500 companies and numerous associations. Glenna graduated from Northwestern University and holds a Masters Degree from UCLA and a Masters from Fuller Seminary. Glenna has appeared on Good Morning America, the ABC Mike and Maty Show and is a well-known author, appearing in the New York Times Bestseller, Chicken Soup for the Soul. She is also the author of her own bestseller, The Art of the Fresh Start.